Sales Training: Who Are the Best Sales People? 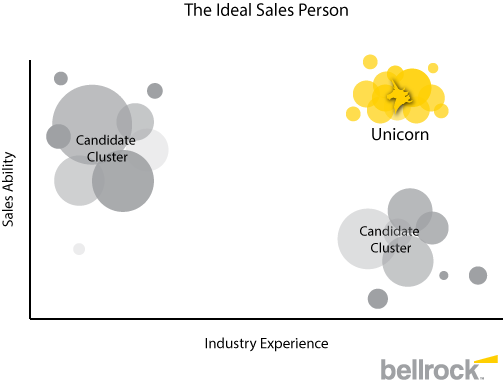 - Bellrock Benchmarking Inc.
Finding a great sales person is tricky. They need to have strong technical knowledge of your industry, be personable, and be willing to report their activities back to head office. You’d like them to be terrific at hunting and prospecting for new clients, but they should also provide outstanding customer service and be excellent at cultivating client relationships. 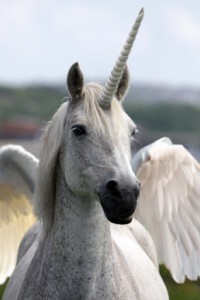 To summarize, you are looking for a unicorn – “the perfect person”. If you find that person, fantastic. But just in case you don’t, decide which criteria are most important to you. Creating a job description for this candidate’s position is the first step to successful recruitment. List all of the duties you expect them to perform and cluster them into categories. Determine which are most crucial to the firm, and write a really compelling ad that highlights those requirements – even if you have no intention of advertising in the traditional sense. Ok, it is possible to find a person who is both a hunter and a farmer, but it’s also unlikely. Moreover, if you seek someone who is both, it could mean your sales organizational structure is flawed. Once a great hunter builds their book, hunting season is closed (forever?) and they rest on their customer service laurels, no longer bringing in significant revenue bumps, but maintaining what they already found. Another possible outcome is that the farmer keeps hunting and forgets about all the people in their book leaving a swath of unsatisfied customers in their wake. Consider changing the structure of your sales organization so that great hunters can continue to hunt and feed the work back to some great farmers. In the meantime, make your choice. Do you want to hire a hunter or a farmer? Ideally, you want someone with substantial industry experience and an excellent track record of delivering sales results. If you find that person, the “hunter-farmer technical expert”, grab them – they are tough to locate and even harder to lure away from their current job. Pay them what they ask. After all, you could always put them in a glass cage and charge admission for your competitors to view your fabulous discovery. But most likely, you’ll have to compromise on one of the two fronts – industry experience (also called technical ability) or sales skills. Decide which of these your organization is more capable of training, and hire to mitigate your company weaknesses. If your sales system is strong, your training program works, and you are excellent at training sales staff, hire for industry experience and technical knowledge. If you have a strong sales process in place, you will know in the first month whether a new person with good industry experience is working out. Without that process, and assuming your sales cycle is 6-12 months, you’re looking at half a year minimum while they “build relationships” and “get their feet wet” before you can determine whether they are any good. If your company is very strong on the technical side and has a deep bench of people who can fill in the knowledge where required, then hire for sales ability. This is where your sales organizational structure and job descriptions come into play again. Your technical people do not need to be great sales people at all, as long as the great sales people can access the technical knowledge when needed. Again, you should know within a month – if you don’t, then there’s a foundational issue with your sales organizational structure or your sales process. Give Bellrock a call in that case. We can help. Unicorns are out there, but you need to be ready for them. It’s the ABR of sales management – Always Be Recruiting. You should always be looking for and keeping in touch with great talent. The best people are already working somewhere else and doing a wonderful job. When they are ready to make a change, you want to be top of mind. Find a way to stay in touch, via social media such as LinkedIn, industry networking events, and personal contact. Great sales people are already out there, all the time. You just have to go where they go to make sure your lives regularly intersect. What do you think are the qualities of the best sales people? Let us know in the comments.